So, it's 2pm and you feel like the day is never ending. You can barely keep your eyes open and wonder how on Earth you'll manage to get through the next few hours at work. You've already had your third cup of coffee and know that at this point, caffeine just won't cut it. But how else can you stay awake without caffeine? Well friends, we've all been in this dire situation before and we're here to help! We've tried everything from splashing cold water on ourselves to even, gasp, working out at work! Read on for what we think are the five best ways to beat the mid-day snooze without caffeine. May the non-caffeine force be with you. Aside from giving you fresh breath or helping to beat your cravings, chewing gum can actually help you stay awake! According to Scribendi, chewing a piece of gum can help you stay awake and become more attentive in situations where you feel yourself drifting off into space. Because chewing involves the voluntary movement of your facial muscles, this causes an increase in blood flow to the brain, which stimulates it and keeps you from falling asleep at your desk. Popping a fresh mint into your mouth also helps you from nodding off during your mid-day slump. The stronger the mint, the better, as the freshness will wake up your taste buds and simultaneously wake you up. It also helps to keep your breath fresh through the period of time in which you think your yawning will never end. If you really want to keep your eyes open, you can try a menthol stick as this is an old Hollywood trick that actors use to fake cry during filming! Have a playlist for working out, driving with the top down or getting ready to go out? Then that's the playlist you want to listen to when you're about to nod off at work. Not only will you be listening to your favorite songs that make you want to dance in your seat, but you'll also be thinking about the fun memories you made while listening to these songs! Playing your favorite songs will help you focus and feel more energized, while listening through headphones can help you hone in on a task. Need help picking out some high-energy songs? We've got you covered! Listen to our personalized playlist for songs to help you beat the mid-day slump. Step aside, sleepiness, it's time to jam! Don't have time to get up and go for a walk in the middle of your work day? Schedule a meeting outside! The breath of fresh air and being away from your desk will immediately wake you up and maybe even put a little pep in your step. We all know there are so many benefits that being outside in nature has but having an outdoor meeting brings these benefits to a whole new level. Not only will the change of scenery help you feel focused and energized, it will also do the same for your co-workers - making this the perfect recipe for a brainstorming meeting. 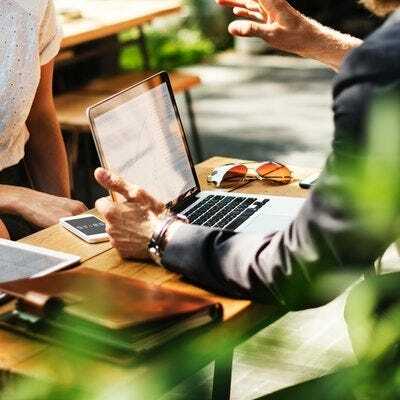 Narrowing down the benefits of having a meeting outdoors is tough because there are so many but Buyer notes that improved energy, new ideas, healthier bodies, better communication and fewer distractions are among the top benefits of having a meeting outside. They even suggest a walking meeting to help improve creativity. If you work at an office job then you're no stranger to cramped hands. Between the scrolling, typing, bad posture and constant eye strain, it's easy to become antsy around mid-afternoon. Aside from getting up and stretching or going for a quick walk outside, it's also helpful to massage your hands. Your hands are one of the most overlooked parts of your body when it comes to addressing a self-care routine. To avoid any tired hands or cramps, massage the area between your palm and your wrist. It's a surprisingly sensitive area that you more than likely never knew needed attention. Giving that area a giving it a quick and deep rub can help revitalize any tired hands and help you get through the rest of your work day. Yes, we are serious. We know, we know, who feels like working out at work? Well, a few push ups isn't like going to the gym and if it helps get us away from our desks, then we're all for it! You don't have to be a gym rat to feel comfortable doing a push up - do what works best for you and your body! Remember, this isn't about beefing up, it's about waking up. Just a few push ups helps to increase circulation, fire up the brain, heat the body up and boost energy levels. Now who doesn't want to work out at work? Grab a co-worker to be your push up partner to support your mid-afternoon wake up movement. Don't forget to take note of the other benefits push ups have like building stamina, keeping your bones strong, and stretching out those overworked wrists and elbows. 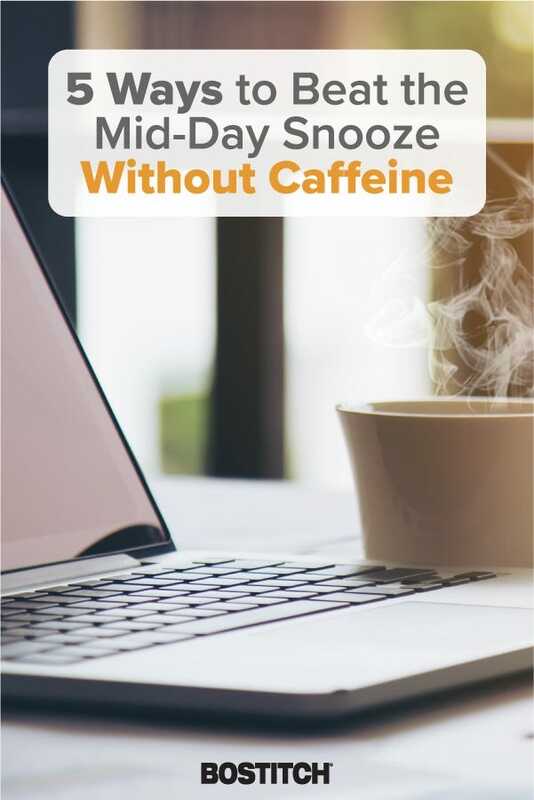 Of course there are so many more ways to beat the mid-day snooze without caffeine but these are just a few of our favorites that we rely on when we hit our slump! Find some more tricks that work best for you and let us know how you beat your 2pm crash by giving us a shout out on Twitter!